On this page we present a selection of usefull waypoints. More waypoints are given on the pages of each country, but not all of them are recommendable. The waypoints are collected with a Garmin Etrex Legend. Each time we tried to have an optimal signal and the waypoint was not stored until the altitude value was stabilised. Of course, use these values as reference only! 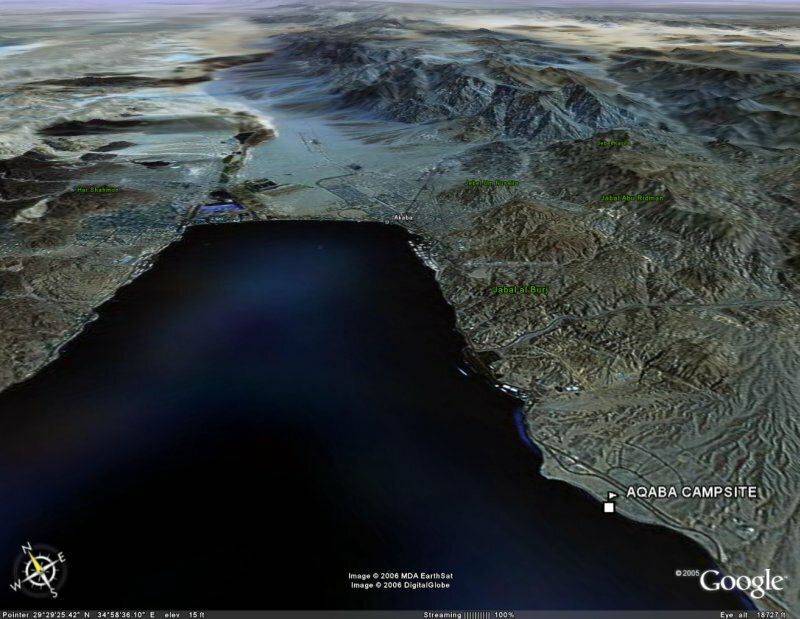 When the GPS coordinate is a hyperlink, a click will show the location in Google Earth. 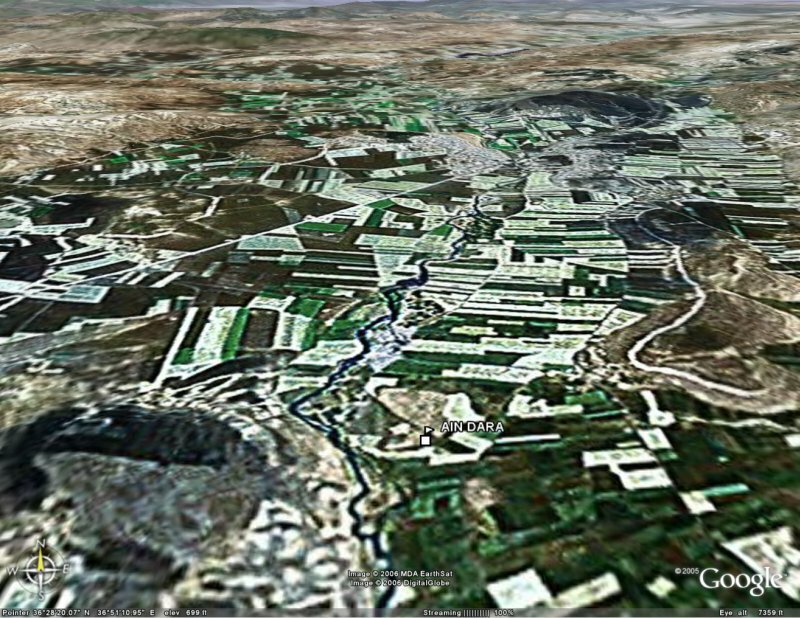 For those unable to run Google Earth, click on the Place with a hyperlink. 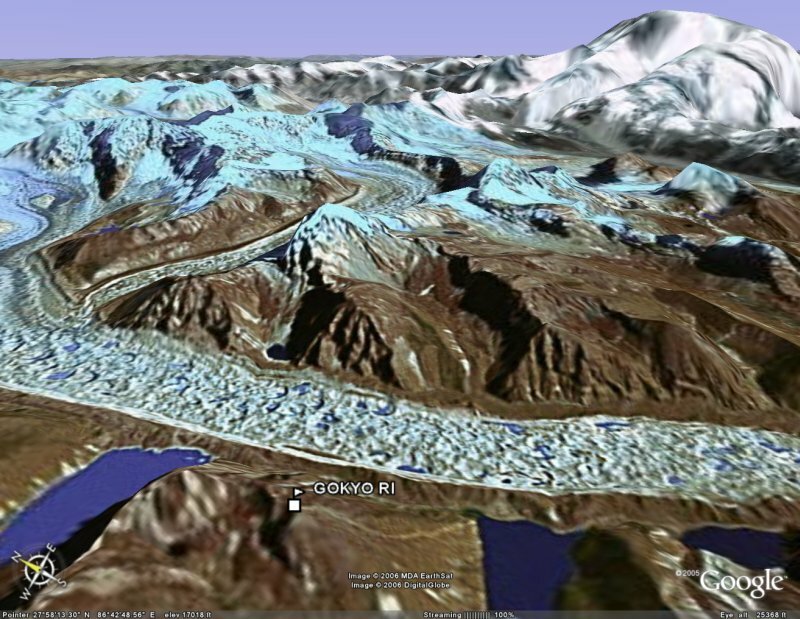 A screenshot of Google Earth will be shown. ... Etrex, where are we now? 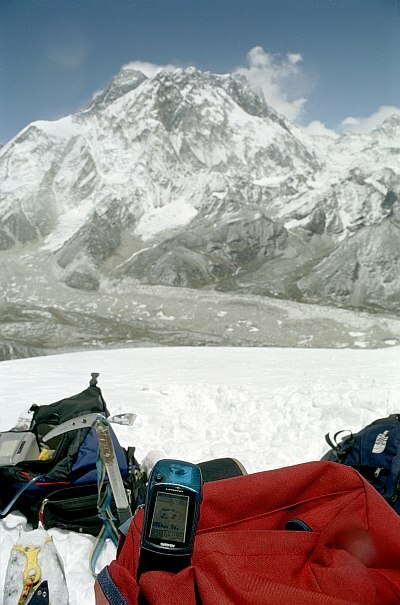 ...At the summit of Lobuche East, 6000 meters above sea level! Istanbul N41�28.6" E28�'41.2" 35 m The centre mark of the Byzantine empire. Istanbul N41�8.7" E28�'30.3" 8 m Take here the fast ferry to Bandirma. Cappadocia N38�'14.8" E34�'13.6" 1222 m The comfortable Kaya campsite with swimming pool. Nemrut Dagi N37�'58.9" E38�'34.3" 2136 m The not to miss pyramid of Antiochus Epiphanes. 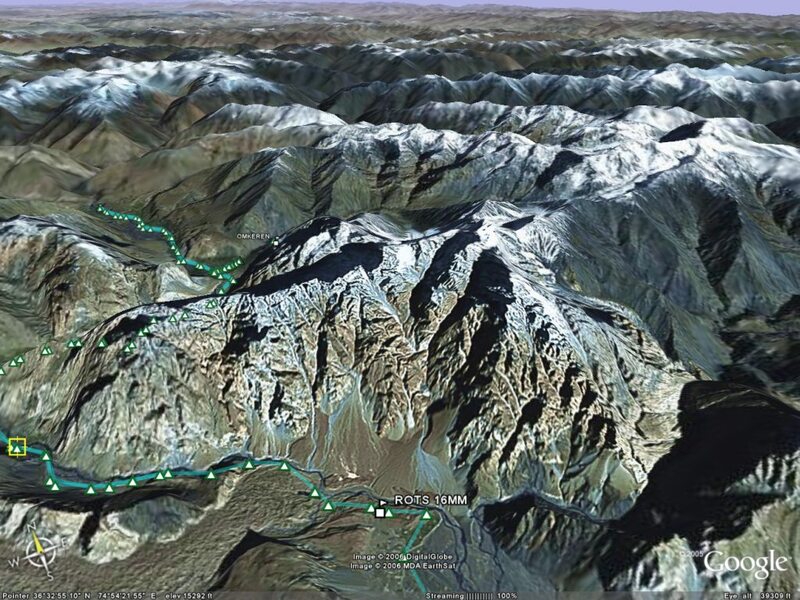 Dogubeyazit N39�'14.8" E44�34.1" 1868 m The (in)famous Murat campsite for your last beer before entering Iran. Antalya N36�'55.2" E30�'17.0" 36 m The pleasant Sabah Pansiyon. Ol黡eniz N36�'9.1" E29�54.2" sea level The Ol黡eniz camping. Tehran N35�'41.9" E51�'36.9" 1797 m Not a bad place to camp if you have your own vehicle. Esfahan N32�'48.8" E51�'10.4" 1627 m The well known Amir Kabir guest house. Persepolis N29�'4.1" E52�'22.2" 1634 m The major tourist attraction in Iran. Choqa Zanbil N32�27.7" E48�'33.5" 75 m Nice ruins, nice place to camp. Shiraz N29�'2.5" E52�'29.6" 1533 m The conveniently located Zand Hotel. Bam N29�26.0" E58�'44.9" 1066 m The friendly Akhbar guest house. It will be rebuild soon. 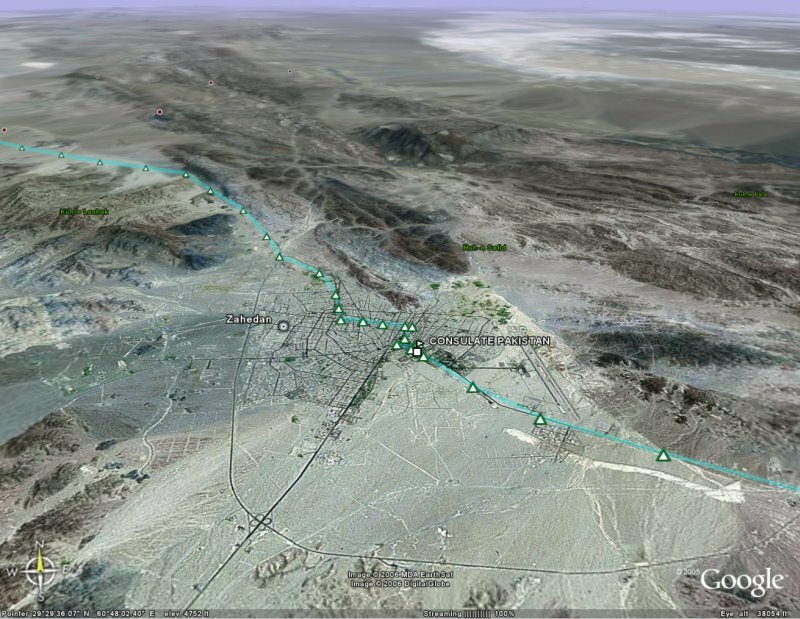 Zahedan N29�'13.0" E60�'20.6" 1381 m The consulate of Pakistan; get here your visa within a few hours (if you are lucky...). Quetta N30�'22.0" E67�18.5" 1712 m The comfortable Bloomstar hotel. Quetta N30�'30.3" E66�'56.7" 1723 m Toyota Zarghoon: get rid of Iranian engine oil quickly! Lahore N31�'41" E74�'7.9" 202 m The Regale Internet Inn. Park your car just in the alley. Lahore N31�'1.6" E74�'59.7" Toyota Garden: the last decent Toyota dealer before India. Islamabad N33�'17.6" E73�17.3" 533 m The conveniently located campsite of Islambad. The Toyota dealer is just at the opposite side of the road. Islamabad N33�'32.2" E73�19.0" 562 m Sigma Motors, the only Landrover dealer in Pakistan. All Landrover travellers rave about this repairshop! Peshawar N34�10.0" E71�'47.0" 342 m The Tourist Inn Motel: ramshackle, but we loved this place. Peshawar N34�27.2" E71�'27.3" 347 m Toyota Frontier: here did they fix our car after the crash. A miracle job! Gilgit N35�'21.9" E74�'50.6" 1494 m The comfortable and very friendly Madina guest house. Karimabad N36�'26.9" E74�'8.2" 2404 m The Rainbow guest house is at the beginning of the "old town" and has a nice garden, a parking place and good food. Opposite is the trekking and climbing shop "Karim's offer". A good place for buying gear and organising a trek. Aliabad N36�'22.2" E74�'47.4" 2249 m An excellent campsite with beautiful views of the Rakaposhi. 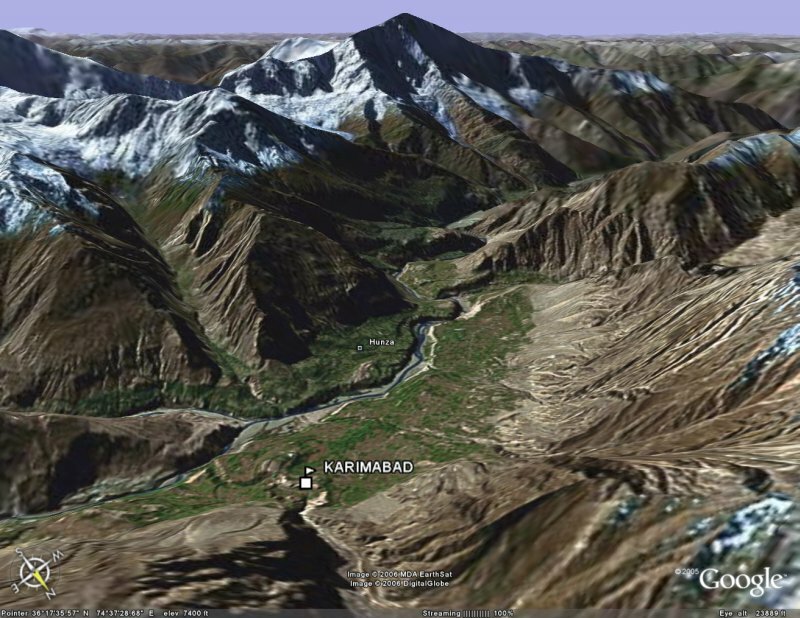 Close to Karimabad. If you have a big vehicle, this is the place to go, since driving up to Karimabad will be difficult. Passu N36�'39.9" E74�'34.7" 2518 m The owner of the Glacier Breeze used to be a Chinese Chef cook at the Pearl Continental in Rawalpindi, so the food is really superb! 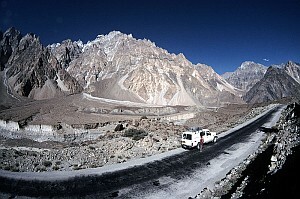 From this place the sunset on the Passu Cones is unforgettable. 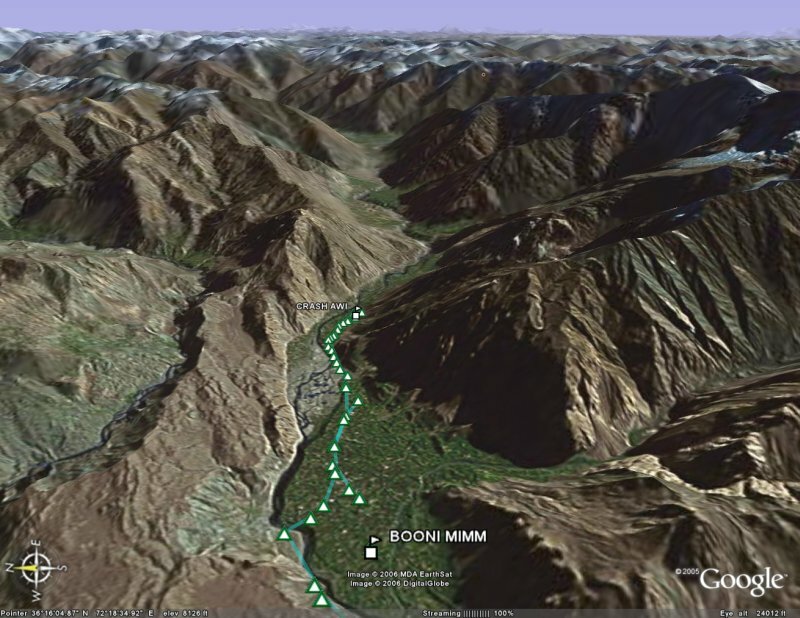 Chitral N35�'4.7" E71�'14.5" 1520 m The Chinar Inn is a pleasant lodge in a pleasant village. Awi N36�'31.3" E72�'4.6" 2112 m This is the location where we fell of the mountain with our LandCruiser. Tahkt-i-Bahi N34�'16.7" E71�'48.8" 390 m Ancient Buddhist ruins on beautiful hills. Amritsar N31�'0.4" E74�'36.4" 229 m The Tourist guest house is near the centre and has a good parking place. Agra N27�'4.1" E78�53.1" 164 m The famous Tourist Resthouse. Agonda, Goa N15�53.0" E73�'27.8" 9 m Camp on the beach! Yavakapudi N12�'0.1" E75�'21.8" 1062 m The Palace Estate is one of the nicest places in South India. Hampi N15�'8.9" E76�'39.1" 418 m Believe it or not, but it is possible to park your car in the village. Khajuraho N24�'1.9" E79�'32.1" 214 m After a horrible road a big reward. Varanasi N25�'8.6" E83�11.4" 74 m You can park your car in front of the inexpensive Maruti guest house. Rishikesh N30�38.3" E78�'6.7" 432 m The Bhandari Swiss Cottage. A comfortable and cheap place, especially if you have your own vehicle. Kathmandu N27�'48.5" E85�'48.7" 1313 m The friendly Mustang Holiday Inn. Kathmandu N27�'21.7" E85�'5.2" The Toyota dealer near the airport. 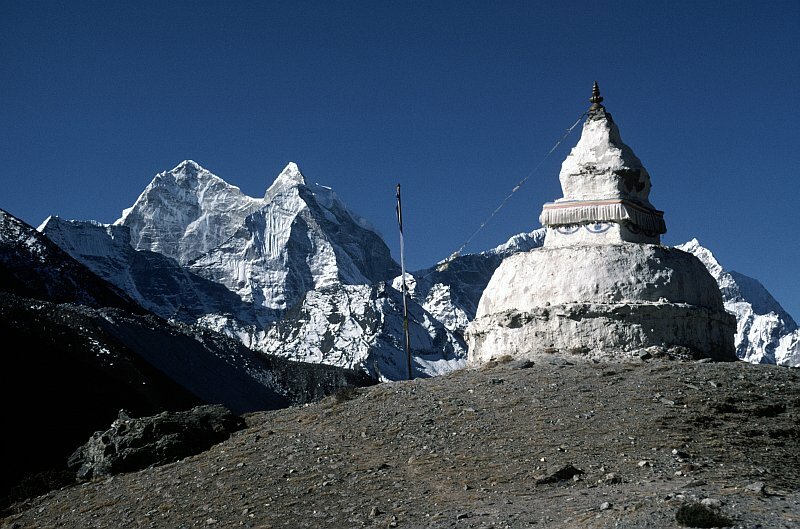 Everest N27�'42.6" E86�'7.1" 5370 m The Cho La pass. Pokhara N29�'54.7" E83�'25.8" 802 m The campsite at the lake. Gosainkund N28�23.0" E85�'46.3" 4662 m The Laurebina pass. Damascus N33�'43.4" E36�'55.9" 708 m The hotel Canal Suez is one of the few two star hotels that charges the Syrian price instead of a stiff tourist price. A much better deal than the hotels recommended by Lonely Planet! Damascus N33�'52.9" E36�'33.1" 689 m We were very happy with the service delivered by Toyota Damascus. After Pakistan this is probably the best place to get your LandCruiser serviced. Hama N35�49.0" E36�'23.5" 261 m Two very nice hotels next to each other: the Ryad hotel and the Cairo hotel. 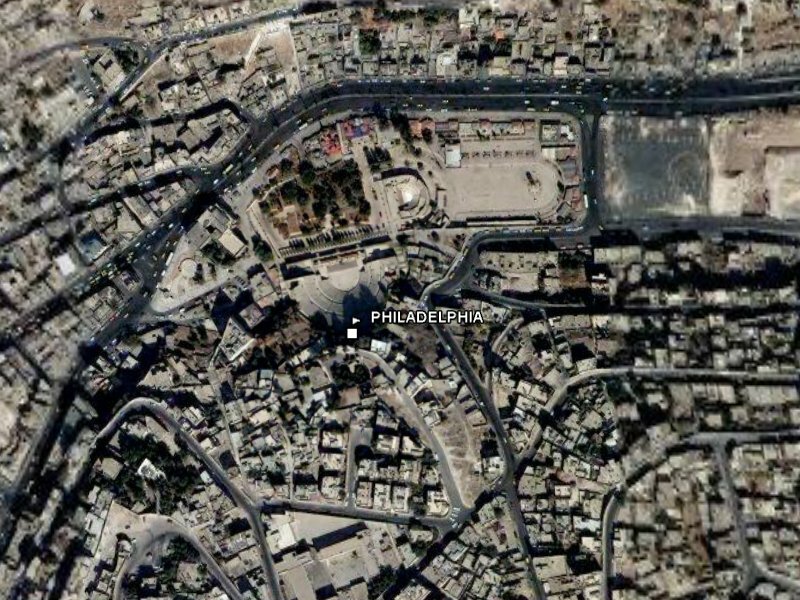 Bosra N32�'4.9" E36�'58.8" 848 m The Arabian Nights restaurant and souvenir shop is next to the superb amfitheatre. You are welcome to camp in front of their building. Chevaliers N34�'15.8" E36�'41.1" 662 m La Table Ronde is the campsite next to the magnificent Crusader castle. Ugarit N35�'6.2" E35�'55.4" 7 m The Bronze Age city where the oldest example of an alphabet was discovered (14th century BC). 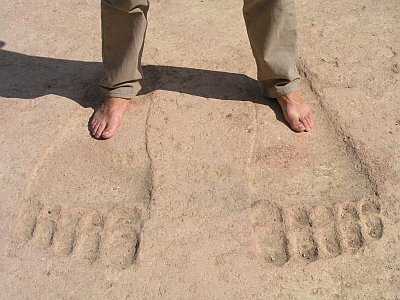 Ain Dara N36�'34.1" E36�'9.6" 230 m Extra Terrestrial footprints dating from the Neo-Hittite period (9th century BC). Amman N31�'7.9" E35�'55.3" 784 m The backpackers hotel in the center of Amman, but you can park your (small) vehicle in the side street opposite to the hotel. 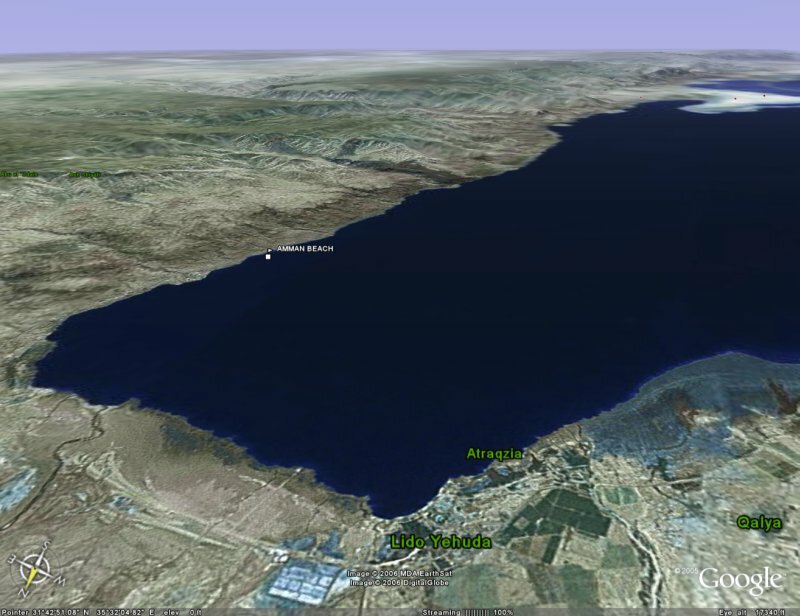 Dead Sea N31�'54.0" E35�'54.0" -411 m You have to pay 6 euro p.p. to enter Amman Beach. Camping is no problem but beware of the strong wind that occurs after sunset. Don't bother with the public beaches the locals use and convert into garbage dumps. Aqaba N29�'21.8" E34�'17.7" sea level The campsite in Aqaba and better: the place where the reef is close to the beach! Great place for snorkelling. Wadi Rum N29�'35.6" E35�'47.7" 1073 m Sunset Point in Wadi Rum. A great place to watch, you guessed it, the sunset. Irbid N32�'19.9" E35�'59.1" 562 m The nice Al Ameen hotel is a good base to visit the sites in Northwest Jordan, i.e. Umm Qais, Pella and Jerash. Kerak N31�'55.0" E35�'6.7" 1041 m A nice Crusader castle. Built in 1132, captured by Saladin 56 years later. Beirut N33�'49.9" E35�'40.6" 18 m Talal's New Hotel is a comfortable hotel with great management. Use this place as the base for day trips to most of the other places in Lebanon, since hotels are generally very expensive. Sidon N33�'8.3" E35�'49.6" 12 m The Phoenician temples of Echmoun are less impressive than the Phoenician city at Ugarit, however the monolithic throne is remarkable. 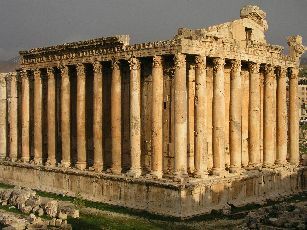 Baalbek N34�'20.2" E36�'25.0" 1151 m The Roman temples at Baalbek are a must see. The temple of Jupiter used to be the biggest temple in the Roman Empire and the six remaining columns are still awesome, even though they are just columns. In remarkable good shape is the smaller temple of Bacchus. It is the best preserved Roman temple in the world. Although smaller than the temple of Jupiter, it was (and is) still bigger than any temple in Rome itself. Overland by car, carnet de passages, insurance, etc..